My high school friend [and college roommate] Regan has been an expat in Taiwan for several years and got married in June. Several of his friends traveled to Taiwan to celebrate his wedding. 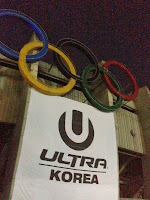 My first stop was Korea where I met up with Regan and Do for Ultra Music Festival. I went to Ultra with Do and the Lambda’s eleven or twelve years ago in Miami, and it’s always been a fond memory. UMF Korea took it up a notch. 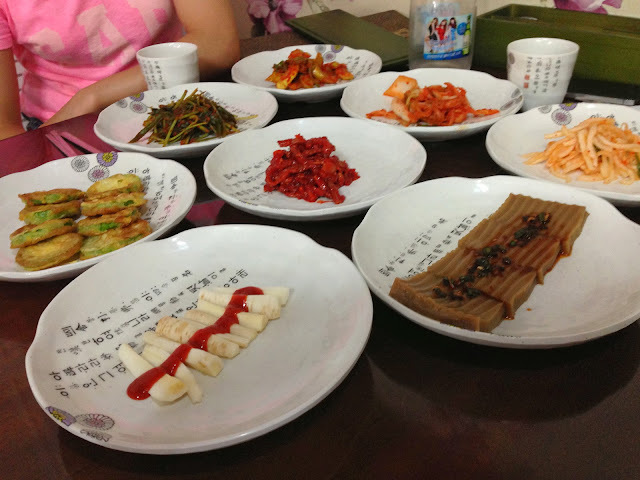 The only things we did other than going out was eat (my favorite meal was a traditional Korean meal with a table full of kim chee), sleep and sit in traffic. 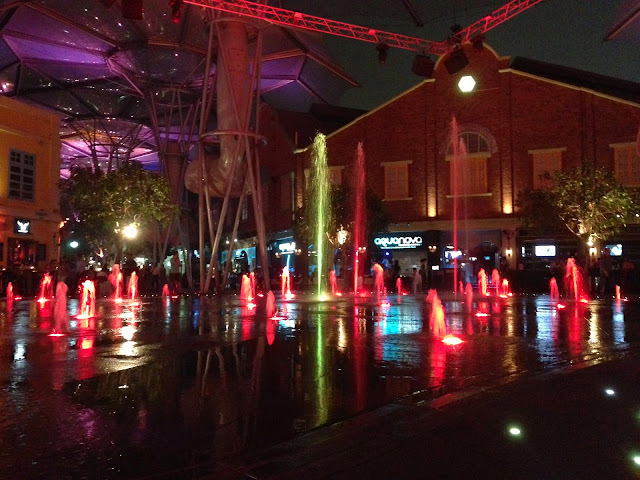 After Korea, I headed to Singapore. It was my first time traveling outside the US by myself, and it was the perfect place to do so (except I ordered food for only one). As Malaysia’s neighbor, it’s very similar with its mix of cultures. As a financial hub, there are more expats and wealth. With tight government control, it has less crime. Many of the tourist t-shirts refer to it as a “Fine City” due to fines levied for small offenses like jaywalking. It wasn’t always this way. My cabbie to the airport described Singapore as dirty and mafia-run about 50-60 years ago. As the government cleared out the shanty towns and replaced them housing projects, the criminals had nowhere to hide. He mentioned that gangsters could be thrown in jail without trial. Since the land area is so small, the government can provide great infrastructure for very low taxes. The low taxes and rule of law then attract multinationals. The subways and buses constantly run, so there’s little need to own a car. Even during rush hour, there was little traffic compared to Seoul. Fires in Indonesia caused a massive haze while I was there, so I didn’t ride around the island as originally planned. I still walked about quite a bit and got in several good meals. Since I was still jet lagged and sleeping odd hours, I made it a point to find an early breakfast place. I had an amazing eggs benedict at Toby’s Estate (sometimes, you just want a “normal” breakfast). I then headed to the Gardens by Marina Bay and the Cloud Forest exhibit. Aside from the much needed cool air, I loved how the exhibit took me from the “top” of the cloud forest to the bottom with different plants in each section. I made my way to Burgis Junction for a quick lunch in the AC (the random soup at Soup Spoon was flavorful and satisfying) and decided to have a look around. The Burgis Market was tightly packed with hundreds of stalls selling clothes, electronics, accessories and food. I grabbed a mango juice from one of the stalls, and I spent the rest of the time in Singapore looking for a similar juice. So refreshing and tasty. The next morning, I headed into the office to say hello to some folks I’m working with. It’s always nice to meet folks and to put a face to a name. At the office, I learned that school lessons were taught in English and that there weren’t many Chinese writers anymore (different from Malaysia). Tired from running around the previous day (and from the heat), I made my last tourist stop the botanical gardens. It was amazing to see such a massive lush garden in the middle of the city (right by the Orchard Road shopping district). The Orchid Garden was top notch, and I took several photos there. The food was amazing. I ate every time I was hungry at random food stalls, mall courts, markets. I never had any issues – all the vendors have a “cleanliness” grade displayed prominently by their signage. I randomly had an amazing red bean pancake and a lychee pop drink from Mr Bean. I ate at a fluorescent lit shack by the hotel (just around the corner from new developments). The only downside is that Singapore seems much more like a running town than a cycling one.